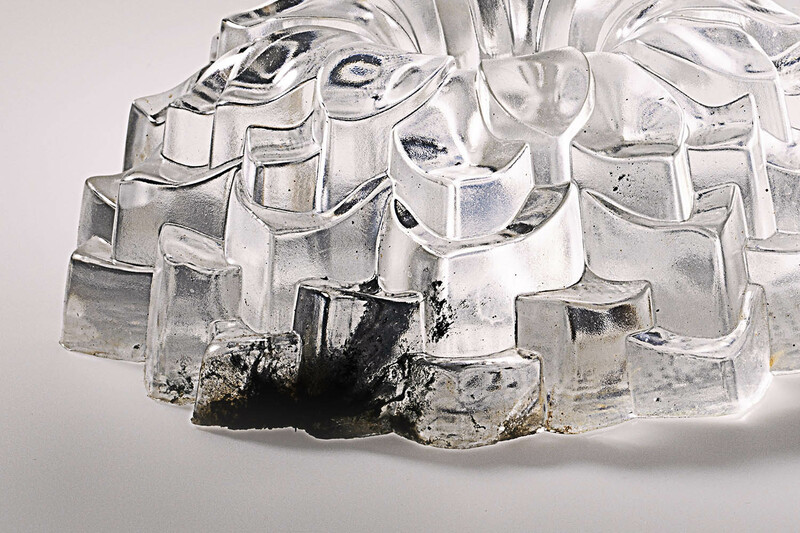 In this lecture, we explore how the display and presentation of physical material objects can produce affects and embodied experience for the audience. We first revisit the use of ‘ready-mades’ in modern art in the works of Marcel Duchamp and in the work of Jeff Koon in the contemporary period. We explore how everyday objects function symbolically in the works of Andy Warhol and Damien Hirst. We examine how Sarah Sze, Ian Burns and Mona Hatoum use objects as the base materials of their works, albeit differently. We will discuss the Project Brief for Assessment tasks 2 & 3 in relation to this lecture. In week 8, we focus on the material quality of physical objects by building a Rube-Goldberg Machine (RGM).Your tutorial classes will divide into groups and each create a component of the machine (in a chain reaction). The first group will determine how the machine gets started. The last group will decide the function of machine. In week 6′s lecture, I propose the argument that motion is a captivating force for humans and generates fascination and intrigue. As humans, our attraction to movement may be instinctual but our attitudes towards different types of motions suggest a more culturally nuanced way of making meaning from our perception of motion through associated meanings. This lecture looks at the history and context of capturing movement in art. We examine how movement is used in a range of object-based artworks from the modern period including Alexander Calder, Jean Tinguley, and Len Lye to contemporary works of Anaisa Franco, Ingrid Barchmann, and Wobin Yang. We focus on the affects of movement and kinetics on audience experience. Week 6’s workshop introduces a number of common actuators used in circuits, with a focus on motors and solenoids. Actuators are important parts of any circuits if we were to make things move. You will be spending some time exploring the mechanisms of DC motors, server motors, and solenoids – and how they can be controlled in electronic circuits, and their possible use in media artworks. 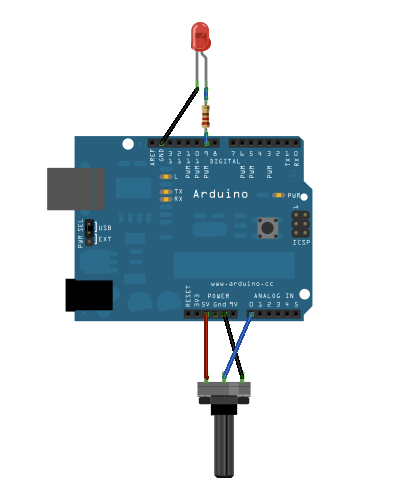 This workshop will also continue with Arduino sketches and exercises. Research essay due in week 6. Document all experiments using photographs/ videos and texts on you process blog/ online journal. Research The Way Things Go and other similar “Rube-Goldberg Machine” or chain reaction works using objects and mechanisms. Begin research on assessments 2 & 3 (project brief presented in lecture 6, to be followed with further exploration in lecture 8). In week 5’s workshop, we return to the lab to experiment with micro-controllers, circuits, and sensors. In this workshop you will be presented with a number of common sensor circuits to explore as well as the Arduino Interface Development Environment (IDE) for creating new circuits. 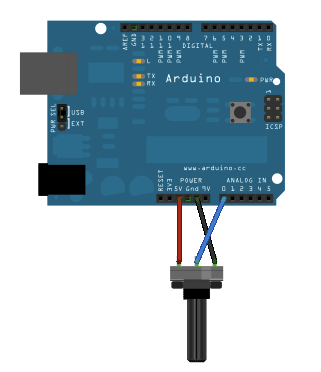 There will be a programming refresher/ programming basics that will introduce you to the use of Arduino with the view that you may incorporate this into your subject’s major project. Document all experiments using photographs/ videos and texts on process blog. Research on use of sensors in media art works (physical computing works) or in everyday situations. Review materials to prepare/ bring to next workshop. This lecture contextualises this exploration by interrogating the concept of interactivity and its incorporation into media artworks.Around the 1990s, accessible computer technologies and DIY electronics ( Processing, Arduino) presented a novel way to create interactive experiences in media arts. As with film, video or internet/ web, these technologies played a key role in enabling new expressions and experiences. In this case, micro-controller and consumer microelectronics provide the platform for developing what is something known as “physical computing”, which acknowledges the limitation of computer and screen-based interaction, shifting the focus to the human body and its capacity to act and interact.We will explore a number of practices including that of Scott Snibbe, Camille Utterback and Daniel Rozin and how their use of microcontroller and programming system to connect the intangible media of computing with the physical and tangible materials. We will also examine the works of Rafael Lozano-Hemmer in his ‘perversion’ or misuse of specific technologies (e.g. Surveillance) in extending physical experience digitally. We are collecting an entry fee of $6 in week 3’s class and this entry fee will allow you to visit all the exhibitions and spaces in the museum (apart from the ticketed exhibit Reigning Men). In week 3’s workshop, we will get deeper into exploring the materiality of sound by creating audio speakers using some simple materials. The material exploration requiring in producing a simple device provides a direct connection to the audio medium (the mediation the physicality of sound waves). It opens up possibility of engaging with sound as a sense and as a medium. This also offers an opportunity to question the divide between digital and analogue media. Research on media art works discussed in class. Prepare for excursion by researching on the exhibitions and reviewing the worksheet (available in week 4’s post). Luigi Russolo’s Intonarumori has been reproduced in different artworks and performances in contemporary times. What is the original work about? What does the medium of sound convey in the original Intonarumori? Why do you think these instruments continue to fascinate musician and artists in contemporary times? Has any of the “re-enactment” or “recreation” added further dimension to Russolo’s works? What kind of materials and components are used to create the work? How do these different materials function together to create sounds? For example, do the physical materials function as an analogue of sound waves? If electronics are used, how do these function with physical objects to create sounds? What ideas are being explored in the work? How do electronic components contribute to this exploration? How may an audience interact with the work? What is the audience’s experience? What are the meanings derived from the use of this materials e.g. ice, graphite, vegetables? Materials have been prepared for you so that you would not need to use a lighter and hot glue gun.Document your process and results. Make notes on what other materials you may be able to use for a design. For example, what can be used instead of a plastic bottle? Are there other materials that can also amplify? Try using a different materials such as paper, cards, or the table to amplify sound. 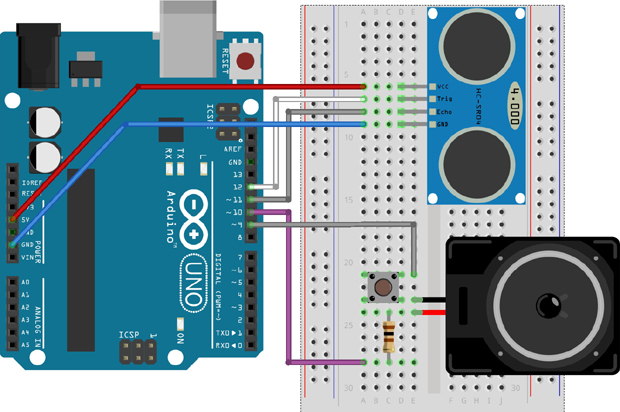 Plug the speaker you created into an audio–sensor circuit provided. What is the trigger of the sensor? How does change in movement or light level change the sound? In our third lecture, we move our focus to sound. What is the materiality of sound? How do we describe the different kinds of sound we hear or sense? We begin by revisiting sound’s place in media arts history from the early modernists to the New York avant-garde. The advent of electronic means of producing sound and music can be traced through musique concrete, the compositions of Karlheinz Stockhausen, to the works of Nam June Paik. This lecture highlights the turning points that consolidate sound as an expressive medium. We will also examine the contemporary practices of Joyce Hinterding in her exploration of capturing the inaudible sound around us, and Peter Flemming in his experimentation with material resonance. Both Nigel Helyer’s and Katie Paterson’s works tell stories of environments through sounds of materials. We will explore the materiality of sound through this exploration. In response to the works and themes discussed in the second lecture, we will focus on how the sense of touch can employed in interactive works. You will explore the use of graphite and graphite paint as simple conductive materials and their capacity as material to provide connection and activation. You will be experimenting these materials in electronic circuits and these exercises will lead discussion on how different human senses can contribute to our experience of the outside world to create meanings.